WILMINGTON, Mass. & SAN FRANCISCO--(BUSINESS WIRE)--Oct. 25, 2018-- Charles River Laboratories International, Inc. (NYSE: CRL) today announced that it has entered into an exclusive partnership with Distributed Bio, Inc., a leader in the computational design and optimization of antibody discovery platforms. 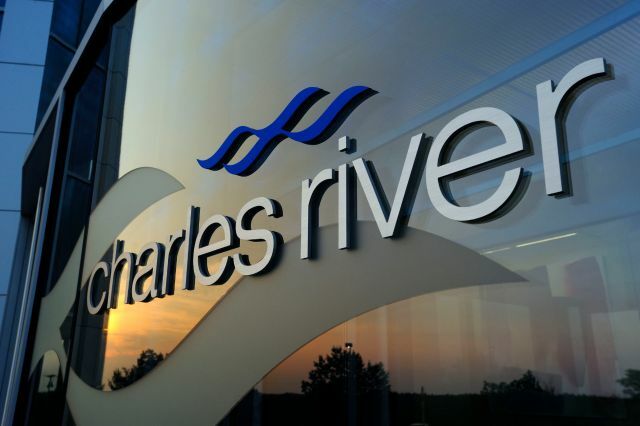 This partnership will grant Charles River’s clients access to Distributed Bio’s antibody libraries and integrated antibody optimization technologies. Distributed Bio’s libraries are computationally optimized for both sequence diversity and engineering fitness through the analysis of thousands of human antibody repertoires and all known monoclonal therapeutics in clinical trials. A combination of Distributed Bio’s antibody libraries and Charles River’s extensive drug development expertise will create a unique end-to-end platform for therapeutic antibody discovery and development. Distributed Bio’s computational immunoengineering platform provides libraries that can generate more than 5,000 unique hits against every antigen tested. This platform improves the chance of successful hit finding, reduces optimization requirements, and expedites the discovery process to as little as three to four months. Distributed Bio’s computational immunology expertise also enables optimization of existing client antibodies generated through more traditional platforms, such as hybridoma or traditional phage display. With a focus on speed and design, this partnership will help increase the probability of success for delivering high-quality antibody candidates. “Distributed Bio’s technology, coupled with Charles River’s deep scientific strength in drug discovery and early-stage development, ensures that our portfolio is truly next generation. This combination provides our clients with Distributed Bio’s ability to discover new antibodies, then proceed seamlessly from hit to clinical candidate faster than before.” - Birgit Girshick, Corporate Executive Vice President of Discovery and Safety Assessment at Charles River. “Charles River is the premier, early-stage contract research organization with a global reach and a track record of excellence. Leveraging our revolutionary antibody discovery and engineering platforms and Charles River’s downstream capabilities will deliver a comprehensive research experience from idea to clinic. We are about to release the third generation of our discovery platform and sought a partner that had both the scale to match our growth and the agility to realize the value of our antibody platforms as fast as possible.” - Jake Glanville, Ph.D., Founding Partner and Chief Science Officer at Distributed Bio. Distributed Bio is a computational immunoengineering biotechnology group, self-funded by licensing a stack of technologies to partners across the pharmaceutical industry. Our mission is to disrupt biologic engineering with big data, machine learning, and computational immunology-driven design. From a team that includes inventors of antibody repertoire sequencing technologies, their AbGenesis antibody and TCR repertoire analysis and engineering platform enables partners to analyze antibody repertoires by high-throughput sequence, sanger sequence, and functional assay without requiring large datacenter investments or local bioinformatics specialists. By using AbGenesis to analyze thousands of antibody repertoires and antibody libraries, they developed the computationally optimized SuperHuman antibody discovery platform. SuperHuman overcomes many of the limitations of other monoclonal generation technologies by generating a staggering number of hits against all targets tested, including GPCRs. Given the number of hits, this library can be panned under unprecedented aggressive conditions, recovering hundreds of subnanomolar binders in under a week, recovering saturating coverage of hits against every epitope tested, and isolating multi-species cross-reactive members against target homologs without additional engineering.